Octopus 8 Studios is a team of industry professionals working with teams to produce and publish their work. The studio is founded on the principle of fairness to all involved in every project and, we strive to give people who work with us the experience of working in a satellite studio for the modern age. Justin Parsler is a lecturer in games design at Brunel University and a senior designer at Mediatonic working on high profile games. Justin made his first computer game in 1984 and went on to work first for live role-playing company Labyrinthe where he designed rules that are still in use. He then worked with a number of play by mail game companies before going on to found his own, Silver Dreamer. The 21st century brought him to academia, where he completed a Masters degree in Digital Games Theory and Design at Brunel University before going on to teach the design portion of that highly respected course. He later worked on a new undergraduate programme in games design at Brunel and is an active researcher, on the verge of submitting his PhD if people will only stop distracting him with games design work. Justin also does a great deal of primary design for, and is currently helping to create, a variety of high profile, big game releases for Mediatonic. Chris Cox has been designer at Lady Shotgun and worked as a consultant on a large number of projects for a whole variety of companies. He is a lecturer at Brunel University teaching Games Design and managing projects. He has an MA in Games Design. Previously Chris has worked in interactive theatrical training, running and managing courses all over Europe where he worked with some of the UKs largest companies as well as having been involved at all levels of event management. He has also managed Live Action Roleplaying companies and contributed to other gaming experiences. 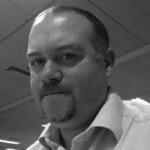 Chris has a wealth of background experience in scheduling, project management and being helpful. With Octopus 8 Studios he works in charge of production managing the projects the company oversees. 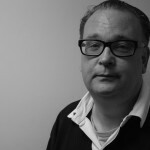 Jason Hamer has worked with IT and Technology for over 20 years, in such industries as Telecoms, TV and Media and Fintech. He is a passionate and visionary leader, a technology evangelist and he has a wealth of business experience in running large global teams, delivering large complex programmes of work and managing multi-million budgets. He is a catalyst for transformation, change and optimisation where he believes technology, consumerisation and gamification will drive these. 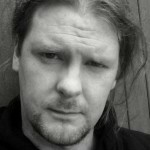 He is also a keen game nut, ever since the Commodore 64 from the mid 80’s, Jason has had a passion for games of all types, he is an avid Kickstarter of various game projects and likes to impart his experience and skills to the next generation through mentoring and coaching. 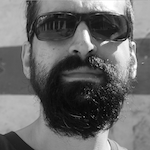 Mario Michaelides is a lecturer in Games Design at Brunel University London and for over 14 years has been teaching a range of subjects encompassing Games Design and Development. His teaching achievements have led to him being awarded Senior Fellow of the Higher Education Academy. As a lifelong gamer and like his famous namesake, both emerged in 1981 – though Mario was born first! Over the years, Mario has developed an encyclopaedic knowledge of the subject to a point where you have to remind him to scale back the geek. Mario’s background is in Multimedia Computing where he has frequently consulted on commercial projects, providing creative input and prototypes, especially in regards to UX (User Experience) Design and the use of technology. With knowledge and passion of all things tech – Mario spends his time experimenting and playing with a range of technology trends, enjoying nothing more than making “fun stuff” – be it software or hardware. With Octopus 8 Studios, Mario is our Chief Technology Officer who works on prototyping and development of our projects.